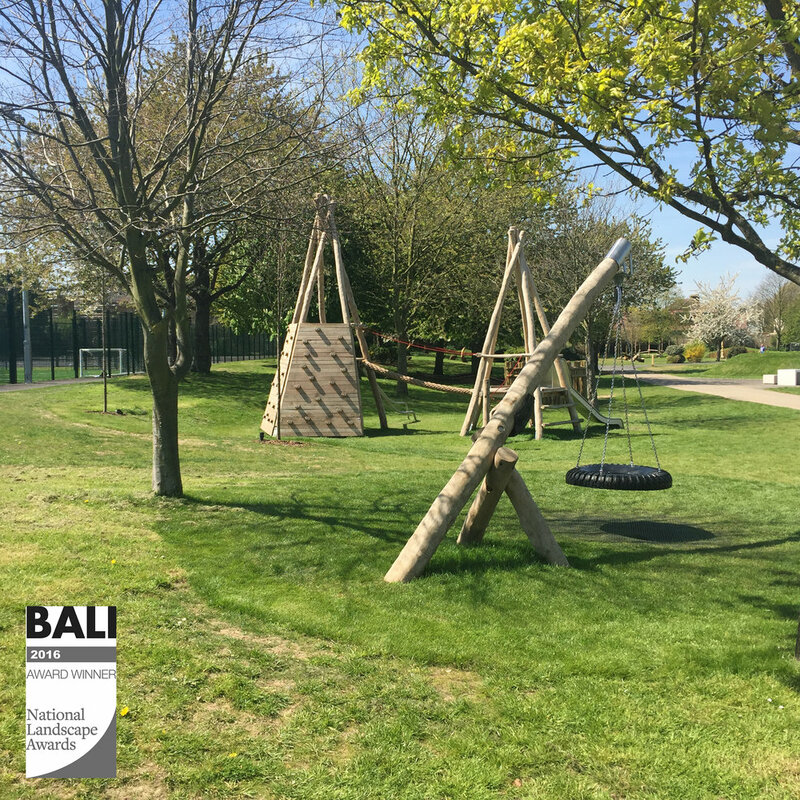 A natural play trail was constructed using land forms, sculptures, timber, stone and planting to encourage children to explore and experience adventurous play in a natural setting. The existing cricket wicket was refurbished with a durable synthetic grass wicket and the addition of two further batting nets. Multi-use hard courts and a high specification all-weather 5-a-side pitch with floodlighting were constructed. A ‘trim-trail’ jogging track and permanent table tennis tables were also installed. Informal seating areas were created providing a mix of individual seats and stools as well as picnic tables. Litter and recycling bins, bollards and signage were also installed. Improvements were made in many areas of the park with hard and soft landscaping which included the planting of trees, extensive shrub planting and the creation of wild flower meadow areas.